Remember, this item is not in stock right now, but you're welcome to pre-order it. The item should be in stock in Late July, and we'll send you an Email when it's ready to ship. Merry Christmas has a picture of holly with berries, Happy Holidays makes a bar with 2 big bells. All three of these choices are so popular, we thought we'd give you the option of just getting them all now. You even save $2. 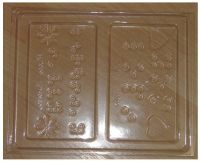 Plastic molds produce chocolate bars with both print and Braille. 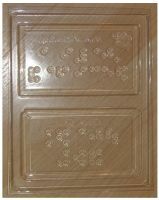 Each mold provides 2 chocolate bars. Finished chocolate bars weigh approximately 4 oz. and measure 6.5" X 4". Bars can be prepared in minutes, and are ready in under an hour. 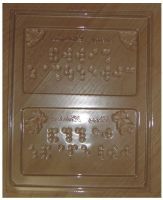 3 molds to choose from. Measures about 8-1/4 in by 10 in by 3/4 in. 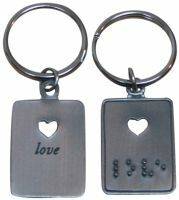 Looking for Braille greeting cards? Are you good in the kitchen? Well ... Do we ever have a great idea for you! 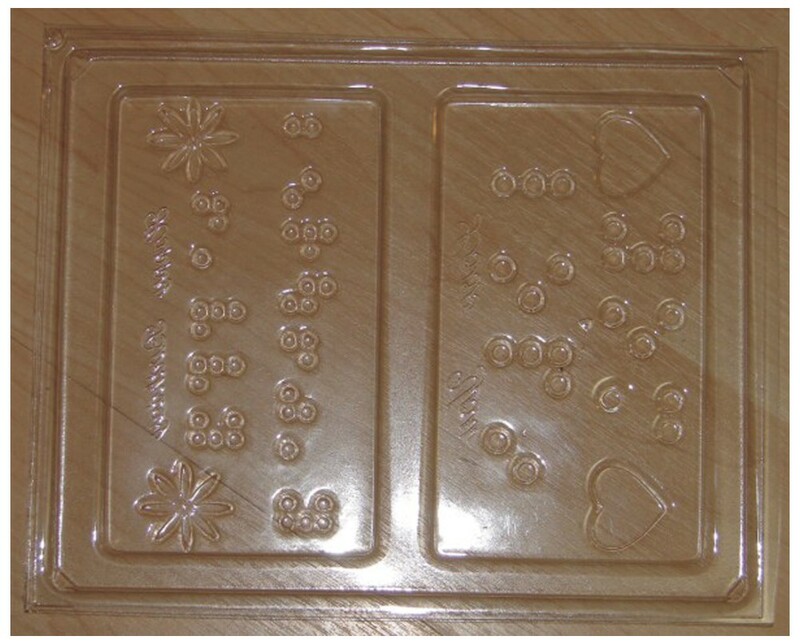 Directions for the Braille Chocolate Mold From Future Aids, The Braille Superstore.